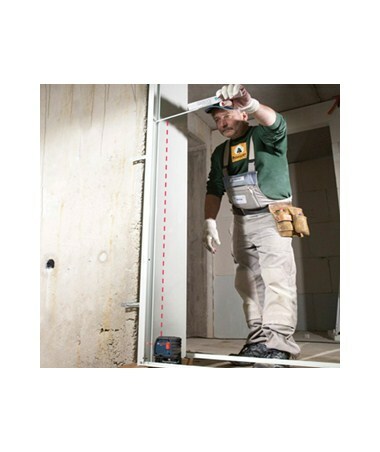 The Bosch GPL3 3-Point Laser Level is a compact interior construction tool that allows construction professionals to plumb and level accurately. 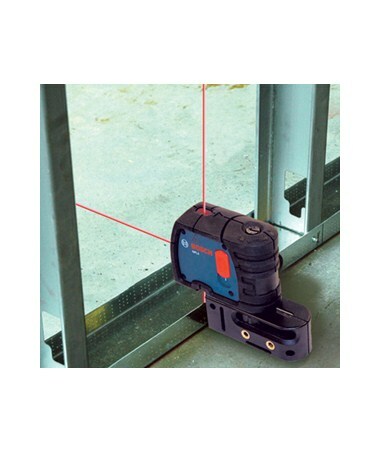 The dot laser’s 100-foot working range and ±1/4 inch accuracy together with its unique features make the GPL3 the perfect point laser for the installation of windows, partition walls, drop ceilings, plumbing pipes and more! To eliminate error, the GPL3 point laser automatically compensates for misalignments within ±5 degrees. If the instrument is further out of level, the dot laser senses the irregularity and the laser beams flash rapidly until the tool is set within the self-leveling range. Automatic self-leveling is locked when the instrument is off. With 3 laser beams being projected upward, downward and forward, the Bosch GPL3 easily plumbs and transfers points from ceiling to floor. 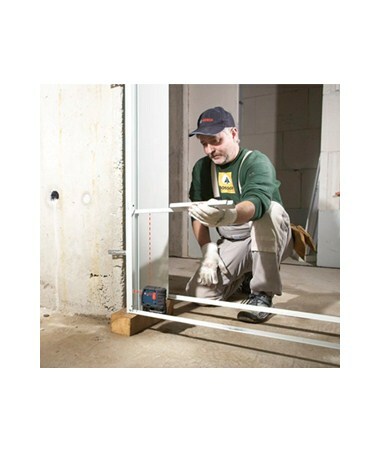 Leveling and aligning 90-degree points and grade points is quick and accurate. The GPL3 plumb laser level uses a single laser diode to project all 3 points with Bosch’s patented diamond-cut beam splitter. The highly visible laser beams further increase the accuracy. 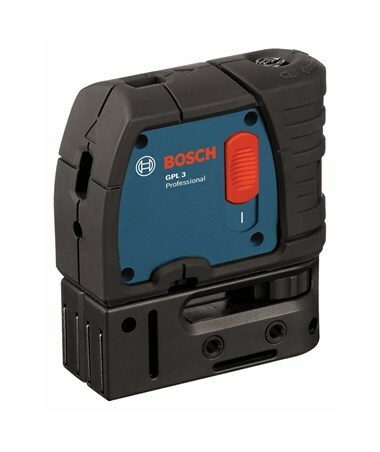 At just over 4 inches tall, the Bosch GPL3 can easily fit in your pocket. For extra convenience, the included pouch can attach to your tool belt. 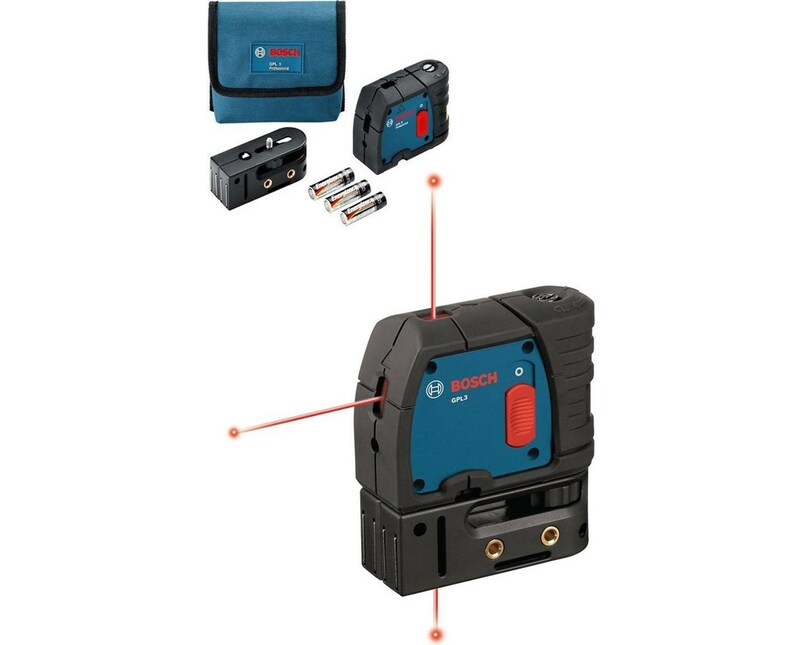 When used with the included multipurpose attachment, the Bosch GPL3 plumb laser can be mounted to a tripod or various surfaces using the included strap and integrated magnets. 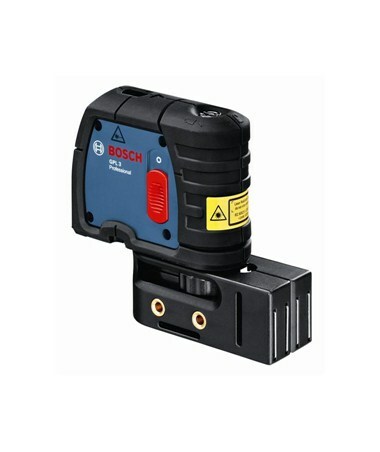 The Bosch GPL3 point laser level comes with reference lines incorporated into the housing. These lines help in precise positioning of the instrument and accurate transfer of measured points. In addition to its inner workings, the GPL3’s outer construction is also highly functional. It is resistant to dust with its IP5X rating and is protected by a robust over-molded housing which resists damage from drops. If the laser plumb does sustain significant impact, it can be easily recalibrated via the removable plug on the front of the laser instrument. 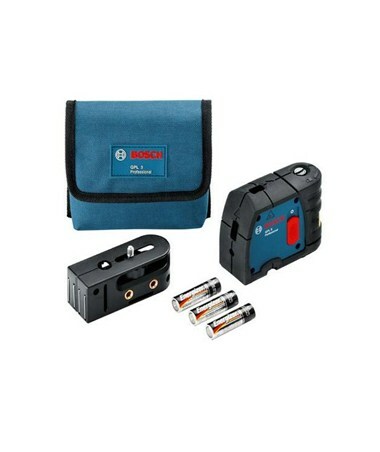 Even with its multiple features and applications, the Bosch GPL3 point laser remains portable and handy. Professionals who work in cabinetry, tile layout, ceiling installment and more will enjoy the benefits provided by this interior construction laser. 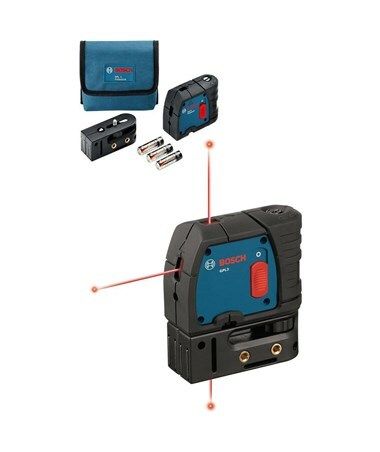 The Bosch GPL3 dot laser is backed by a 2-year limited warranty.